The key for any marketing agency’s well-being is client satisfaction. That is why agencies are always on the lookout for tools like email or Social Media automation, that provide added value for both the agency and their clients. Moreover, the number of online businesses is on the rise, especially in the Ecommerce market, and the need for marketing agencies with top quality services is at an all time high. A key factor for this incredible rise is the increase in online sales. For example in the last 5 years the US Ecommerce market registered an 114.1 billion increase in sales. Without further ado, let’s see how avantgarde agencies can increase client results. Nowadays, the full stack agency market is a very crowded one. The need for key differentiating factors between agencies is incredibly high. Here is where retargeting lends its helping hand. With retargeting, innovative agencies can provide that key differentiation point currently missing in the market. Offering this service to clients from the Ecommerce market will not only improve key client metrics, but also increase their level of satisfaction. For your Ecommerce clients, retargeting is a very simple but effective tool, that allows for unprecedented customer journey personalization. By tracking customer actions in online stores, buying intent and more than 12 other parameters, the retargeting software analyzes what type of buyer the person is and how it can improve their journey, based on the gathered data. Based on the pages that visitors navigate to, they are greeted with more and more pages/products relevant to each one of them. The more a visitor is active in an online store, the more data is gathered about him/her and the easier will be to provide a unique and custom experience. A recent study uncovered that 59% of online shoppers believe that it’s easier to find more products on personalized online store. When it comes to retargeting more data is best data. This means that the more data that the retargeting software gathers, the easier is to predict future behavior for website visitors. 53% of online shoppers believe that retailers who personalize the shopping experience provide a valuable search according to a recent research. Returning customers are 9x times more likely to convert then a first time shopper and that is why they are the best kind of customers for any Ecommerce shop. Providing them with custom suggestions based on their browsing and purchase history, is essential for increasing customer lifetime value. The majority of online shoppers, 56% to be exact, are more likely to return to a site that has product recommendations. With all these types of personalization the goal remains the same, to deliver the best customer journey experience possible and to make customers feel special. With all the increased competition out there and the decline of the average client-agency relationship time to less than 3 years , the heat is on the rise. So how can agencies keep their actual clients happy? The answer is very simple. Deliver more results, and here I don’t mean reports that are longer than a novel. Instead I refer to hard numbers, because numbers are the surest way to drive client-agency relationships forward. 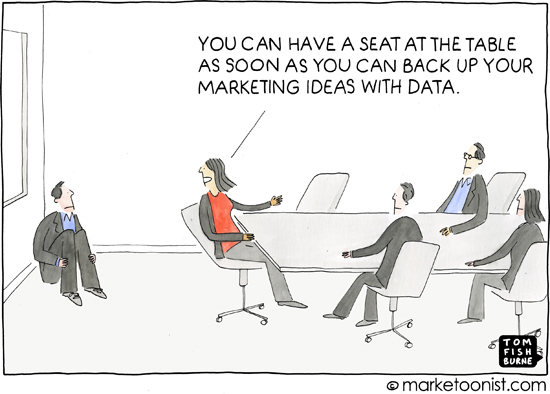 Data-driven marketing should become the norm not only on the client side but also for agencies. These numbers signify the fact that retargeting works and that it can also improve key metrics for your clients. And the best part is that many of retargeting/personalization solutions offer commissions based on the sales generated. A win-win situation! Nowadays screens are all around us and a clear segregation between them is no longer visible, at least when it comes to online sales. For all of your Ecommerce clients it’s essential to reach potential customers regardless the platform that they are on. Last year for example the number of mobile users surpassed the number of desktop users, signifying the rise of the go anywhere do anything user. There may be some skepticism floating around regarding the opportunities that this new type of user brings to the Ecommerce table. A recent research has uncovered that the difference between mobile and desktop conversion rates is only 0.68%. This does in term reinforce the fact that platform bound selling is quickly becoming a thing of the past. Retargeting solutions have usually responsive designs and can be implemented in a way that can work for any platform regardless the size of the screen. The client-agency relationship time is at an all-time low. Due to the increased competition and demands agencies need to go the extra mile, and the best way to do that is to provide concrete results for clients. So be an agency that delivers sales numbers not only likes.